We Can Beat a Stop Sign Ticket! Stop sign tickets carry one DMV point. They can be devastating to your driving record, especially if you are a commercial driver, are facing points, or not eligible for traffic school. They can cost you a lot of money in fines too. Don’t risk it! Hire the best ticket team in the business. 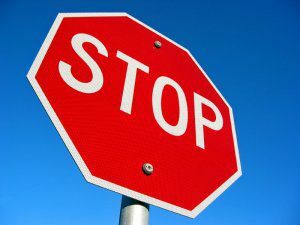 A stop sign violation is defined by California Vehicle Code 22450. The government must show beyond a reasonable doubt that every element of the offense occurred beyond a reasonable doubt. We know how to attack these tickets in court and get the fines reduced or the ticket dismissed. If you have a stop sign violation ticket, call the California Ticket King, PC right now.